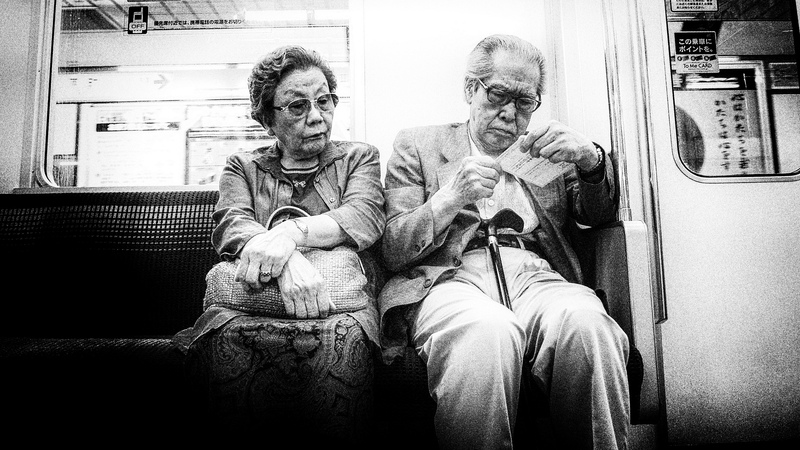 Photo by Tom Waterhouse via Flickr creative commons. 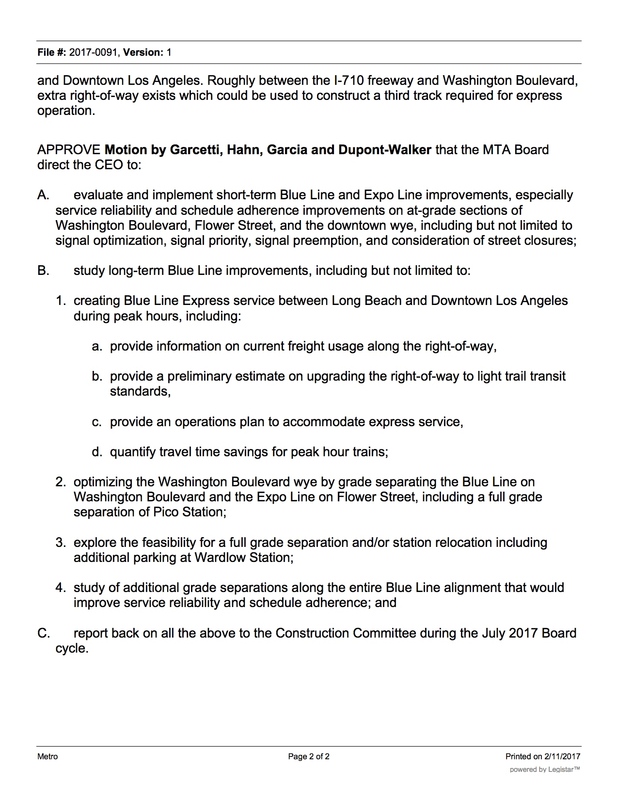 Several Metro Board Members have penned a motion to study the possibility of grade separating the busy junction with the Expo Line (which also sits in the middle of a busy DTLA intersection) and adding express tracks to parts of the line. As the motion notes, ridership on the line — Metro’s oldest, dating to 1990 — has fallen and customer satisfaction has also declined. Of course, a study is one thing. Paying for upgrades that likely cost tens of millions of dollars is another and there is no specific project or funding source at this time. There are certainly pots of money from Metro’s sales taxes (Prop A, Prop C, Measure R and, beginning July 1, Measure M) that possibly could be tapped. Still, Attentive Readers know that transportation funding doesn’t grow on trees and the competition for local, state and federal money is always intense, especially when it come to big projects. All that said, the motion includes some great ideas and the study (if the motion is approved) should include more about the money aspect of this. Citing yesterday’s LAT article, Ethan writes maybe the trend will prompt transit officials to do the kind of things he thinks they should have been doing all along: more bus lanes, lowering fares and building more homes and offices near transit. Of the 1,585 dams in California, 17 are listed in poor condition and 97 in fair condition, according to the National Inventory of Dams, which is kept by the United States Army Corps of Engineers. There are about 90,000 dams across the nation, many of which are privately owned. We’re still waiting to see what President Trump’s infrastructure plan looks like. It just might be that this winter’s big rains and snows in the Golden State influence that. It’s a quadcopter. Looks super safe! Related: you can buy a flying car right now, so says Car and Driver. The four private utilities that own the Navajo Generating Plant in northern Arizona voted earlier this week to close it down in 2019, which is 25 years ahead of schedule. It’s cheaper to purchase electricity created by burning natural gas, they say. Many good jobs will be lost. But, as HCN says, it’s a sign of the times and will likely result in less smog and greenhouse gas emissions. Want to do something about climate change on your own? Generally speaking, taking transit instead of driving alone is a good way to do it. Nice to see the Blue Line is getting more attention. Unfortunately, when many American cities built their initial rail lines (post-WW2, mostly in the late 1980s/early 1990s) there was intense pressure to get the lines built at as low a cost as possible. The Blue Line was an example of this, but at least it got built, which paved the way for the future Metro Rail system. Express service! Never thought I see the day coming when this could become reality. 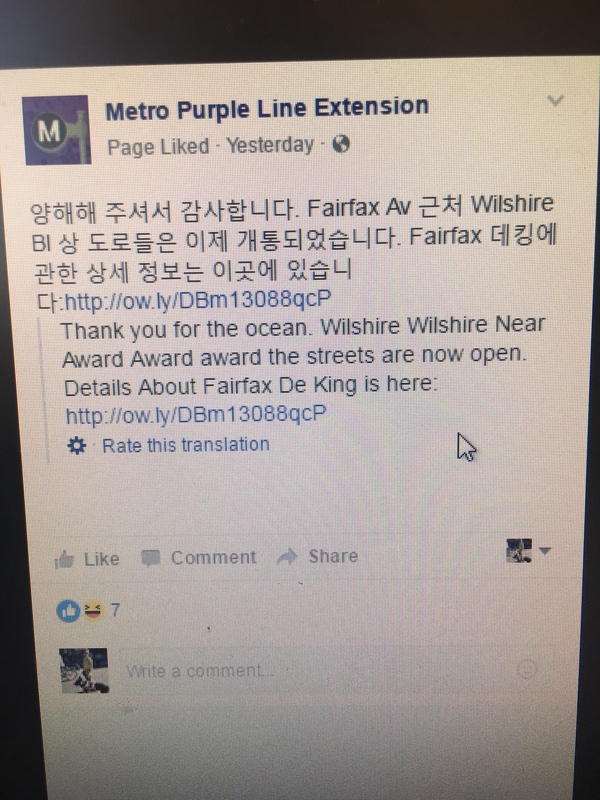 I think express service on the Blue Line is still very, very far away from reality. I just don’t want to get anyone’s hopes up. The motion only calls for a study. Studies are fairly routine. Sometimes they are translated into action. Sometimes not. I can’t emphasize enough that some of the ideas in the motion are very, very expensive based on the costs of current and recent Metro projects. There is no funding source right now. Measure M does not include a Blue Line specific project. There is a project to add grade separations and improvements to the Orange Line, but the rest of the primary projects are either transit line extensions, new transit projects or projects designed to improve freeway flow and modernize roads. As I wrote in the post, there are pots of money for various programs, but generally speaking these pots aren’t huge. So funding for this will be a huge challenge. We’ll see what the study says, if the motion is approved. Upgrading the Blue Line, I think, is a splendid idea. Paying for it will be extremely challenging unless, suddenly, the state and federal funding pots dramatically increase and there’s money left for projects not included in Measure M.
I like the idea of the hover taxi but at a grander scale with a capacity of 10-30 people, circular and looking more like a drone than a helicopter. Making these electric with the ability to charge at every touchdown either wirelessly or possibly a landing pad very much like a dock. These would, of course be autonomous. Why doesn’t Elon Musk infest in something like this instead of that stupid hyper loop. As crazy as my idea is I think musks is a tad more cray. The blue line express is a great idea! Pardon my comparison to a different transit system/mode, but the 710 pocket track idea reminds me of how Caltrain built their system to accommodate express service. Caltrain installed strategically-placed extra tracks throughout their system (rather than adding express tracks to the whole right of way). These additional tracks allow express trains to bypass local trains. Their express service is very popular. It’s a pretty cost-effective way to add capacity to the line and speed up service quite a bit for riders. It’s a win for both the system and passenger. I can imagine that there are cost savings from managing the system more efficiently–which might help calm any nervousness about the initial capital cost. Express service on the Blue Line, combined with the regional connector completion, will actually make taking transit a reasonable option for my workday commute. 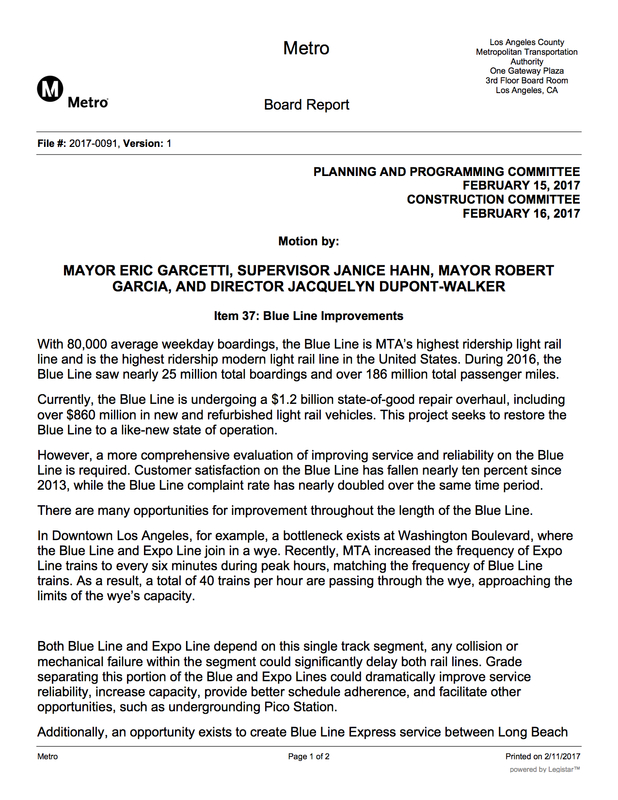 I can’t wait to see this happen, and I’m sure it will be a welcome relief to the already crowded regular Blue Line service as well. Hi — just another reminder to our readers, the motion calls only for a study of such improvements and there is funding identified yet for what promises to be a very expensive project. It’s also worth mentioning that generally speaking there are no giant piles of money sitting around waiting to be assigned to a project. I’d just like to point out that if the Expo/Blue/Washington wye were fixed, allowing greater capacity, that would just exacerbate the capacity issues at 7th Street Metro Center station, which is already at capacity (as witnessed by the inability to recover quickly from service interruptions). But those issues at 7th Street/Metro Center/Julian Dixon should go away once the Regional Connector is finished, and I doubt the extra tracks needed to offer express service will be in place by then. As the West Santa Ana Branch also becomes more of a reality its a good idea to get this on the cards and see what the models provide. Express service on the Blue Line would be a new dimension for Metro. I would really love to see this happen. It’s encouraging to see Metro actually taking the concept of grade separating the Pico to Washington blvd. junction segment seriously. Funding is definitely limited (non-measure M) but this is a good step in the right direction and would be one of the single most sensible and effective core upgrades to the LRT infrastructure for obvious reasons. Of course, as a given, Pico as a subway station makes more and more sense all the time as downtown redevelops and densifies further south along said segment with increased pedestrian and auto traffic. And express service to Long Beach? Pshhh yeah! Funding for grade separation aside, hopefully the signal changes to the street-running segments mentioned will actually materialize soon as those are low cost upgrades and are overdue. Here’s to (hopefully) less trolley operation and more rapid transit. I encourage you to re-read the post. This is a motion by the Metro Board. It has not yet been approved by the full Board. It calls only for a study. There is no funding identified and there is little funding sitting around for these type of large projects — and this one was not included in Measure M. I’m not saying it couldn’t be done, but I want people to understand that this would be immensely challenging. Limited-express (track-shared) is logistically complex and offers some communications/marketing challenges but the good news is that it’s relatively inexpensive. Please bring on these (Metro Labs?) “small bets”! Here’s another one (a weird one) -a Washington/Pico/7MC circulator – a train that just pingpongs in and out of 7th to cut some congestion by starting Expo at Pico and Blue at Washington. Maybe it’s a bad idea – but let’s see more creative ideas – some will be good. I will admit that I only skimmed the post before (didn’t read the memo about needing to create additional tracks for true express). Let’s not wait that long. By going around slower moving “local” rail, you could create that sort of limited-express (RapidRail?) that would serve as a proof-of-concept with nothing more than a few cars, some window stickers identifying it as a rapid train with fewer station stops and a some really good RailOps work.